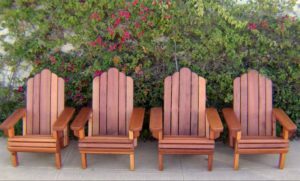 The Adirondack chair is a distinctively styled outdoor chair characteristically made of wood. Originally made with a flat seat and back composed of 11 flat wooden boards, it featured wide armrests parallel to the ground. Today a concave back and contoured seat are the norm. 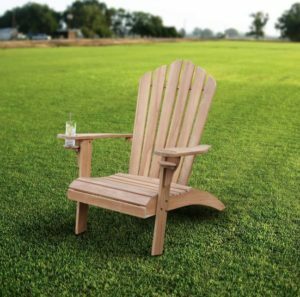 Constructed from an assembly of spaced wooden laths, the Adirondack chair is identifiable by two special features: its wide armrests and a back that slants at an angle. The chair was either left in its natural state or painted — often a redwood brown, chestnut, green, blue-grey or white. ▸ What is it made of? 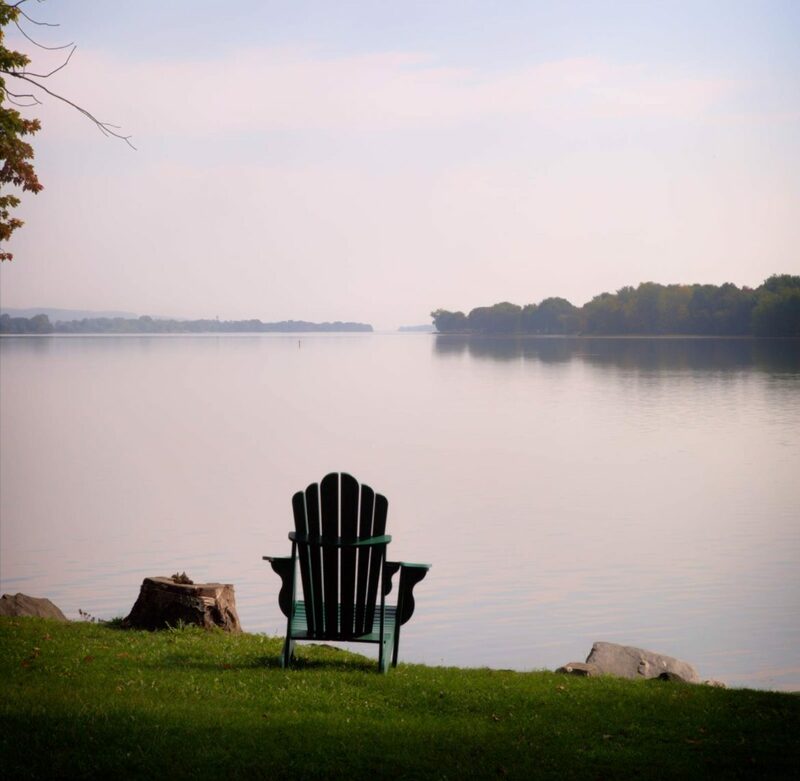 The history of the Adirondack chair begins in the Town of Westport, NY with the inventor of the Westport chair – Massachusetts native Thomas Lee. 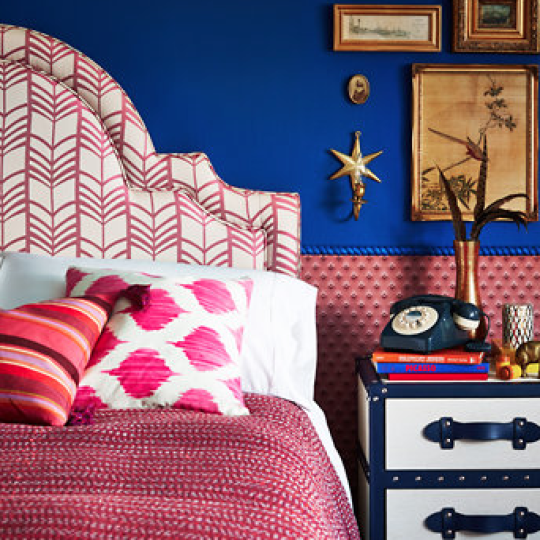 Lee’s family owned a house in Westport, and he spent many of his summers there around the early 20th century. Soon after Lee finalized the design of his Westport chair, he met up with his hunting friend Harry Bunnell, who owned a carpentry shop in the town. Bunnell was worried about the upcoming winter because of a lack of resources that year, so to help him out, Lee gave him the chair’s design. 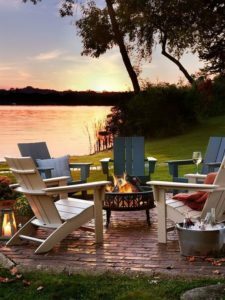 Of course, this outdoor chair was made for lakeside lounging, but it can also reside on your covered porch, in a sunroom, or as part of a casual arrangement in a family room or den. 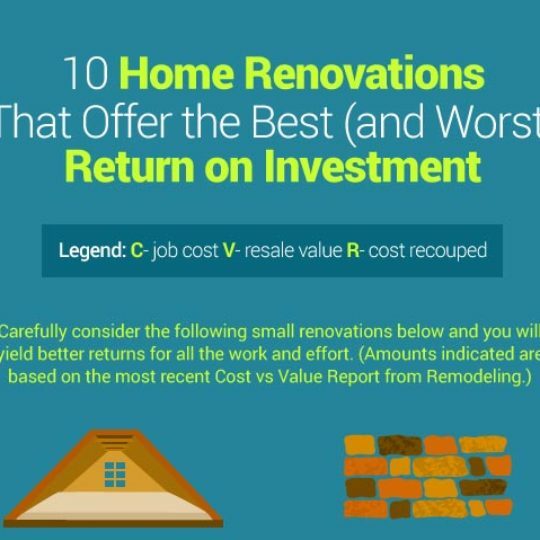 Rustic decor is a good match for Adirondack chairs inside the house. 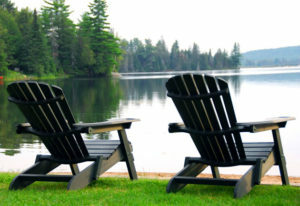 Quality Adirondack chairs cost more, but the payoff is that they’ll last for years. 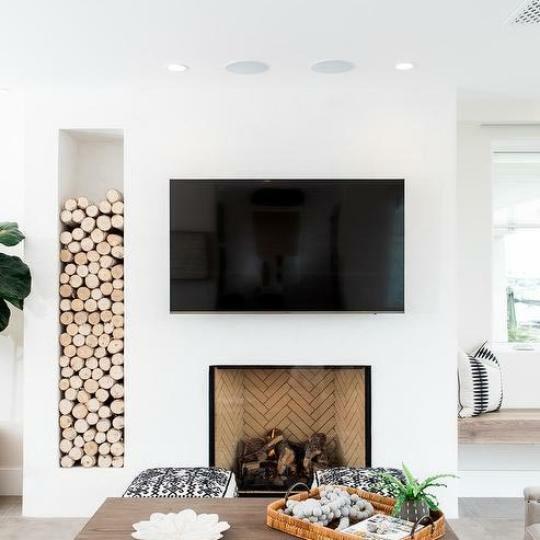 Cheaper plastic versions start at $20 at stores such as Home Depot, while high-end pieces can run several hundred dollars, such as the Loll version at Design Within Reach for $480. 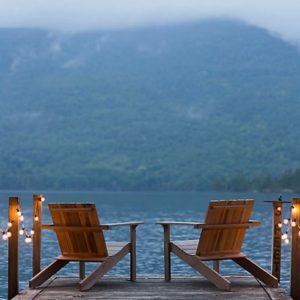 If your chairs will be exposed to the elements, make sure they’re sealed with a weather-resistant finish. But even with this coating, you should bring chairs in over the winter months to prolong their life. 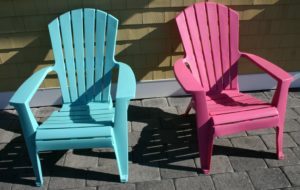 For help integrating Adirondack chairs into your home design, contact Talie Jane Interiors at 855-825-4352 or Natalie@TalieJaneInteriors.com.